Two years ago Sheri ran The Color Run for the first time and loved it so much that she had Mallory run it with her last year. This year I will be running it as well; I don’t want to miss out on all the fun they’ve been having! The Enjoy Utah team is looking forward to participating in The Color Run for the 3rd year in a row, and we can’t wait! This year on August 22, 2015 participate in The Color Run with us in Salt Lake City! We would love for you to join us! Register online using the code below for $5 off your registration. Make sure you also register for the VIP list so you can get information on discount pricing. 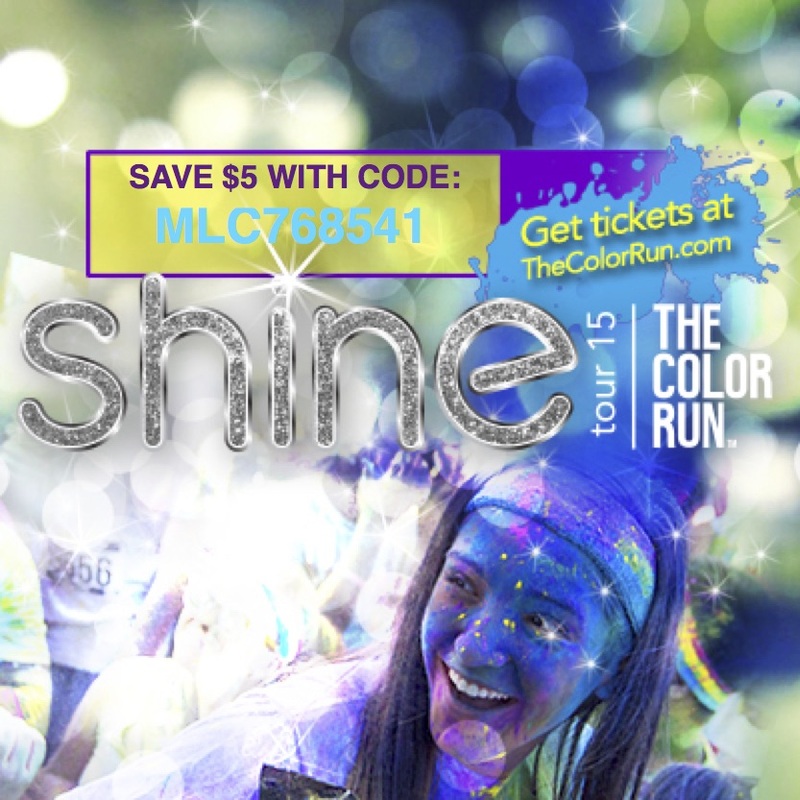 This year The Color Run has introduced the all new Shine Tour, with more glitter and color then ever before!